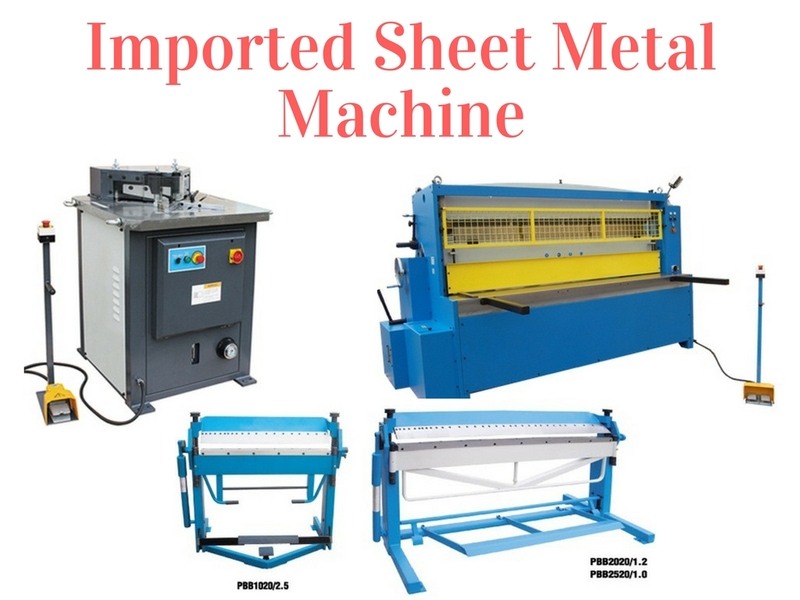 Today, Sheet Metal Machines are being widely used to perform cut, drill, press and shear on various hardened materials including aluminium, brass, copper, steel, tin, nickel, etc. These operations help reform the shape and size of the materials. Uses of sheet metal machinery range from making panels for packaging to making parts for machines. These machine tools have also helped make various medical equipment and various mechanical tools. But the sheet metal machine we know today has gone through huge changes since its invention. In this article, we will see how the sheet metal machines evolved and became what we know it as today. Humans have been engaged in sheet metal works from centuries now. In the prehistoric times, need for making sophisticated tools, vessels and pieces of jewellery was one of the reasons which triggered the invention of sheet metal machines. Punching Machine is considered as one of the very first sheets metal machine. It is still used as a manual tool in small-scale industries to punch holes in metal sheets. Punch machine was used to drill holes in metal sheets using manual force. When just punching hole was not enough for making a complex tool, bending of metal sheet was introduced. In the beginning, sheets were placed between a set of rolling cylinders. These cylinders clamp on sheets and form the bend. If the desired bend is not obtained, the sheets are passed through the cylinders again. This process continues until the desired bend is obtained. Modern technologies have made this machine to evolve into Magnetic Bending Machine in which electromagnets are used to form the bending. Since the tool to be made from metal sheets varied, it was not possible to work with just folding and punching. As the use of metal products increased, there was a need for the introduction of a process that would allow cutting of large metal sheets. This was made possible only after the introduction of pivoted scissors. This enhanced the production process. Shearing Machines are still being used widely in today’s industry. These modern machines tools are made from high carbon and chrome steel blades which provide higher stability while performing the operations. Sheet metal machines have evolved far from its predecessors. Introduction of steam power was the first turning point for these machines. Use of steam power replaced manual handling of tools and provided far better performance with a high rate of production. Next leap was the introduction of electric control machinery such as Electric Operated Slip Roll. The electric control not only eased the usage but also helps increase the productivity of the system. At small scale production plants, hand and foot operated machinery are still used but demand for a higher rate of production is forcing the replacement of traditional machines with modern machines. This blog written by Mr. Yash Shah is about machine tools including workshop machinery, wood working machines, sheet metal machinery provided by Bhavya Machine Tools, a leading distributors of machine tools in India. This entry was posted in Imported Sheet Metal, Sheet Bending, Sheet Metal Machinery, Sheet Metal Machines by Yash Shah. Bookmark the permalink.